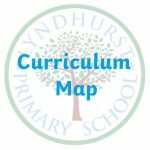 Welcome to Year 2’s page. We have been working hard this year to produce some fantastic work. Take a look below to see what we’ve been up to so far. Our class teacher is Miss McGowan. The teaching assistants who work with us in KS1 are Mrs Cooper, Mrs Whalley and Miss Hooley. In Autumn 1, we have been discovering what life was like over 350 years ago in London. We have learnt about the Great Fire of London and how it changed London. In English, we have been reading Jack and the Beanstalk and have used it to help us write our own stories and letters from the giant to Jack. We also read Jack and the Baked Beanstalk and compared it to the original story – it is very different! In Maths, we have been consolidating our knowledge of the place value of numbers up to 100. We have also been making a big effort to learn our number bonds to 10 and 20. 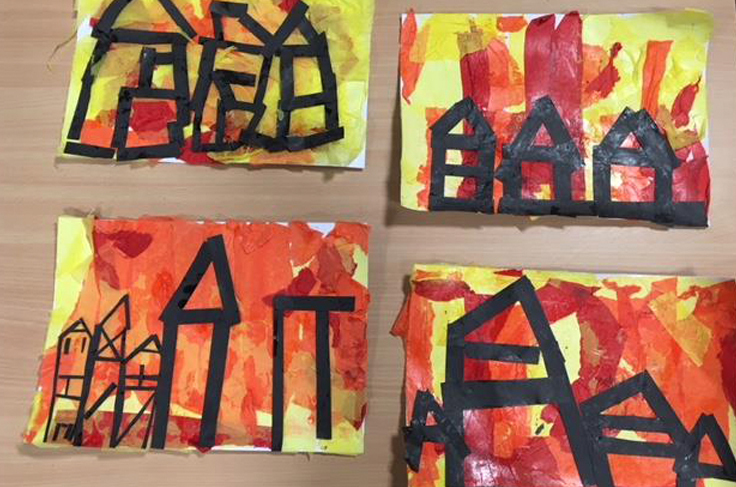 In Music, we have learnt the song London’s Burning and have performed it as a round and in Art we have made our own fire pictures using mixed media. Year 2 have had a great start to the year, well done! Our class novel was ‘The Witches’ by Roald Dahl and ‘Tilly and the Time Machine’ by Adrian Edmonson. In Autumn 2, we have been focusing on a video stimulus for writing called ‘The Clock Tower’. We put ourselves in the place of the girl in the clock tower and discussed her thoughts and feelings about her situation. We wrote some brilliant recounts of her day and they are on display outside our room for everyone to see. We loved reading ‘The Polar Express’ by Chris Van Allsburg and wrote letters from the North Pole to the boy’s parents. In Maths, we began adding and subtracting two 2-digit numbers using some new strategies and we have enjoyed reasoning about or workings. We also put on and performed our school nativity, ‘Prickly Hay’, with Year 1. We performed to the whole school and our parents. All of the KS1 staff were really proud of their performances on the night! Our class novels were ‘The Truth Pixie’ by Matt Haig and ‘The Christmasaurus’ by Tom Fletcher. Spring 1 has been jam packed! In English, we loved exploring a new author, Mini Grey. We read her books, ‘Biscuit Bear’ and ‘Traction Man’ and took part in discussions comparing the two texts. We have written some excellent stories and instructions based on both texts. In order to write our instructions, we baked and decorated our own biscuit bears (see pictures). In Maths, we learnt how to add different values of money and give change. We learnt how to add and subtract two 2-digit numbers and are beginning to learn about multiplication. Continue to learn your 2s, 5s and 10 times tables to improve your scores on Times Table Rockstars. In Science, we have been exploring everyday materials and have been looking into their uses and properties. We have investigated which materials are waterproof and have written about our findings. In PE, we have been learning how to move and balance safely and with precision in Gymnastic lessons and we produced some fantastic sequences. Our class novel was ‘The Giants and the Joneses’ by Julia Donaldson. In Spring 2, we will be reading ‘Meerkat Mail’ by Emily Gravett and exploring non-fiction writing. In Maths, we will be exploring the properties of 2D and 3D shapes and learning how to find fractions of shape, numbers and amounts. In Science, we will be learning about animals and their life cycle. We will be learning about this in anticipation of our trip to Smithills Farm on March 19th. Our class novel will be ‘The Bolds’ by Julian Clary. Reading books and records will go home every day. Please bring them back into school every day, so they can be listened to by an adult. It is important that the children read as much as possible (with an adult) at home, in order to maximise their potential. Please comment in their reading record when your child has finished their book. Please comment in their reading record when your child has finished their book. All children will be provided with a free piece of fruit at snack time. If you would prefer to have an extra snack provided for your child by the school, there is a cost of 20p per day (£1 per week). Please pay this to Miss McGowan or Mrs Cooper on the door on Monday mornings. Please provide your child with a labelled water bottle. These should be filled with water, not juice. We use Dojo points in school to reward positive behaviour. You can see the points your child has been awarded. Please sign up and stay in touch. Our topic this half term is the great fire of London. We encourage children to share things they have learnt at home or to bring in books to show the class on our topic.